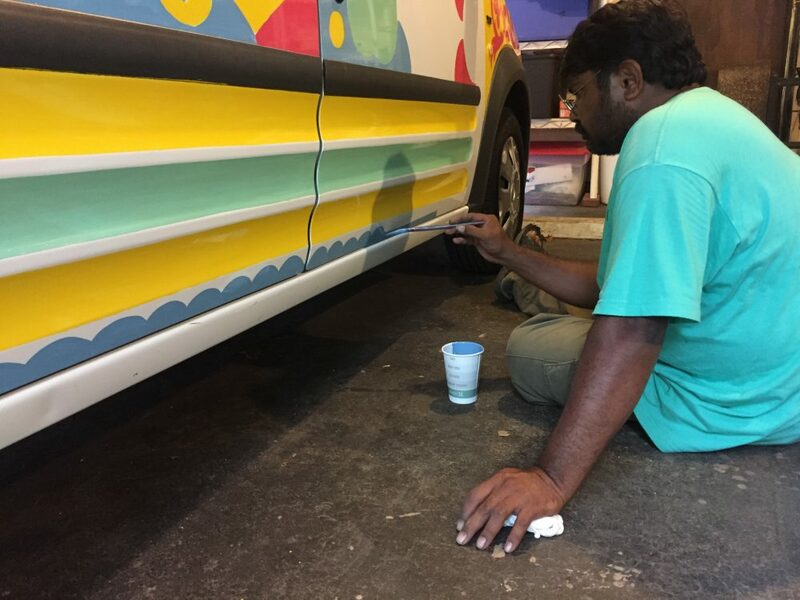 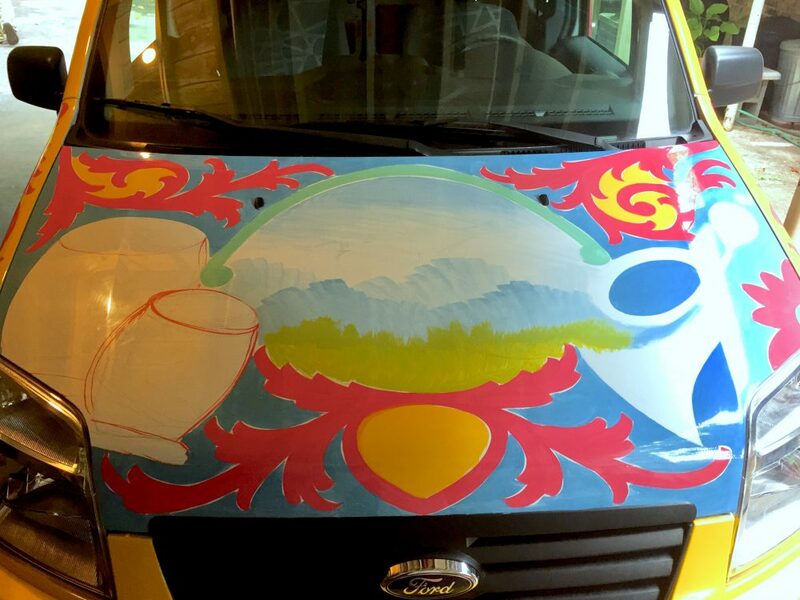 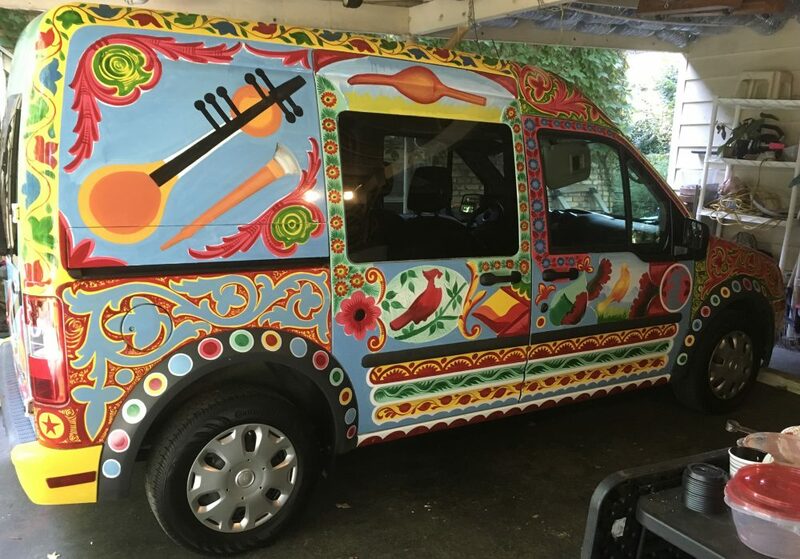 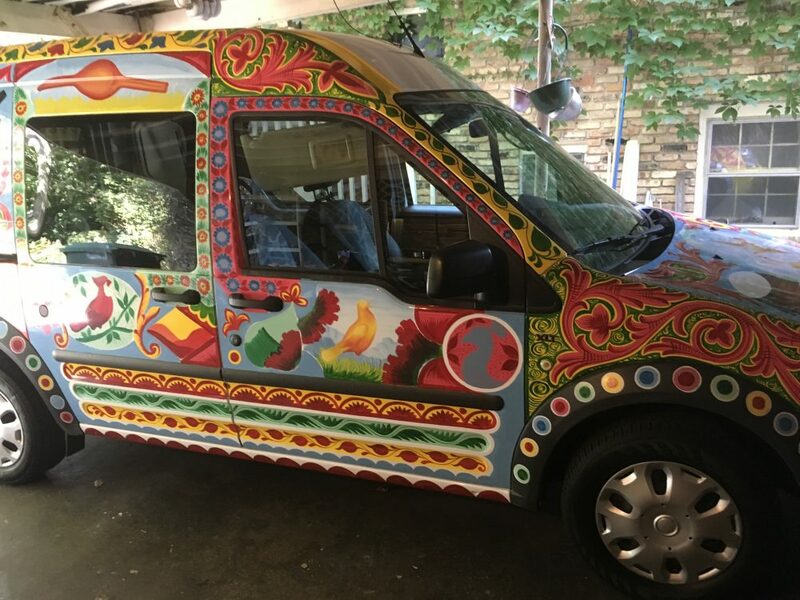 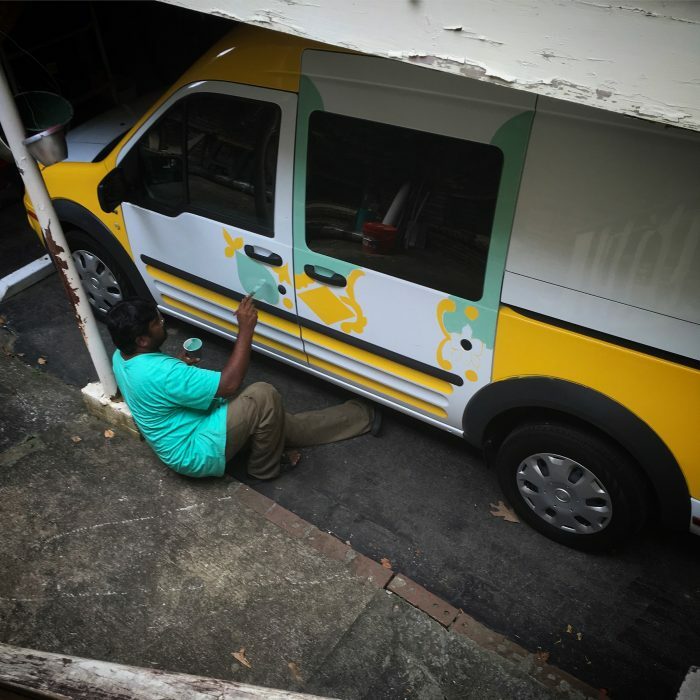 In September, 2019 renowned Pakistani Truck Artist Haider Ali arrived at my house to make my Ford Transit into a work of art. 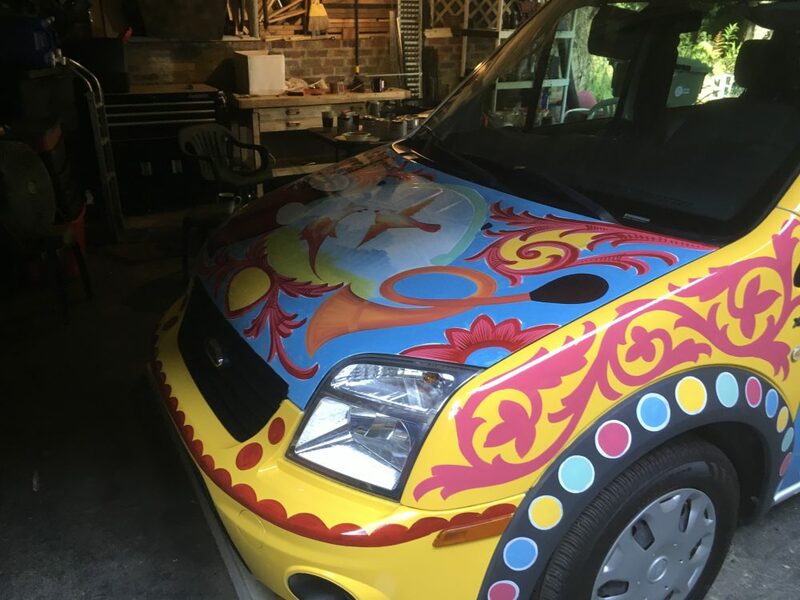 He went through my studio & took pictures of some of my instruments to incorporate into his fdesign. 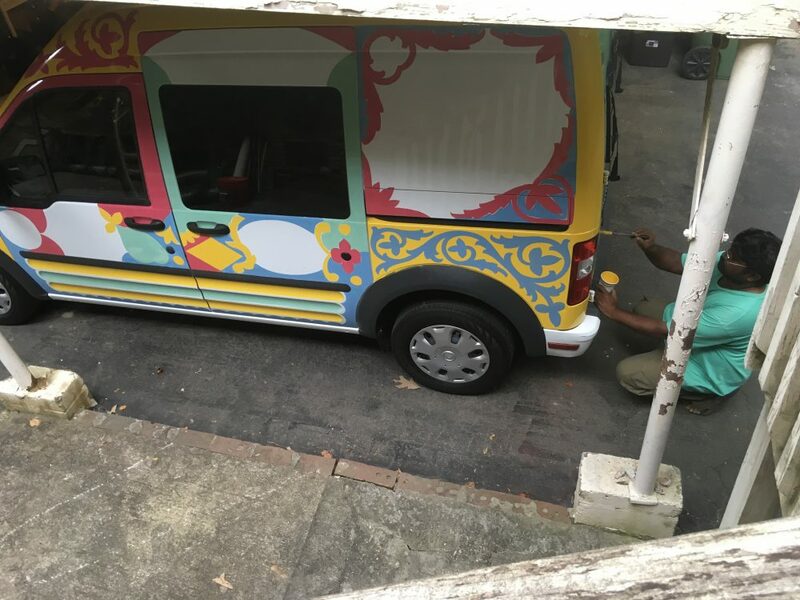 The whole process took 4 days and was a fascinating study in paint layering and development. 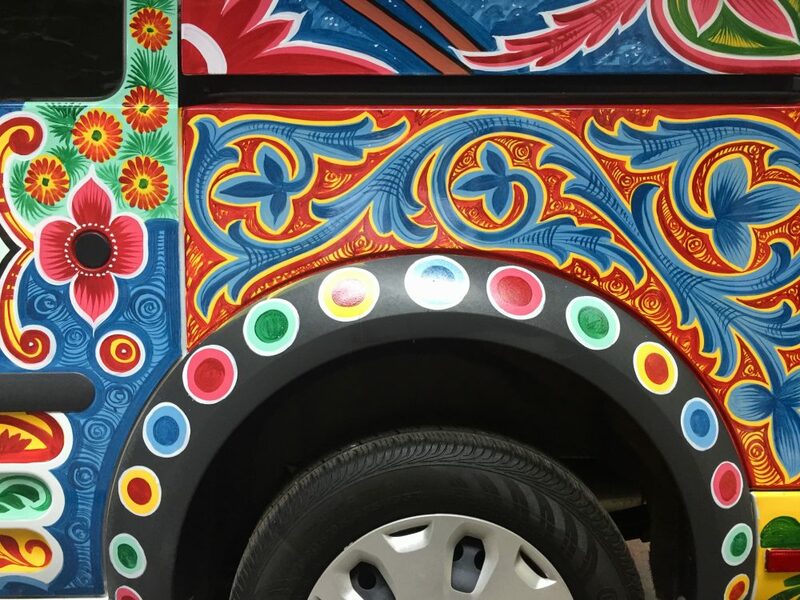 More info on Haider at his Wikipedia page here.